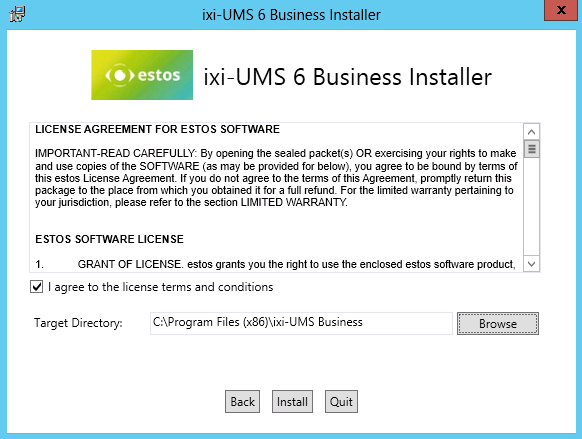 Please download the newest of ixi-UMS Business from the web pages of estos GmbH, unzip the ZIP-File and start the ixi-UMS 6 Business.exe. Before the installations can be started, you must confirm that the necessary preparations have been carried out. Please refer to the brief instructions for instructions and settings. 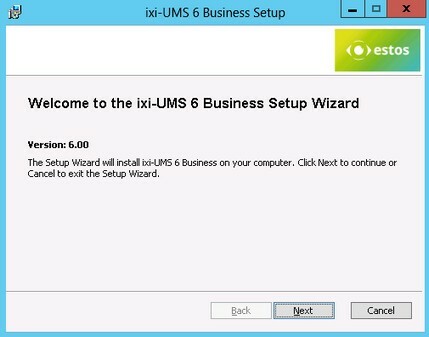 After confirming the preparations, the ixi-UMS Business Setup can be started. 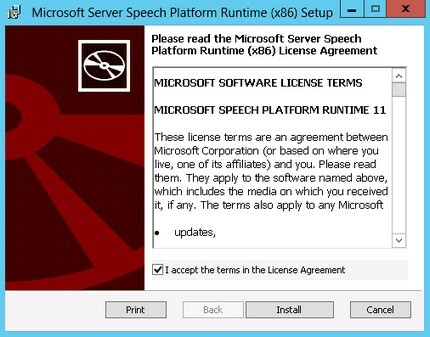 Confirm the license agreement and select the installation directory. The default installation path is "C: \ Program Files (x68) \ ixi-UMS Business". 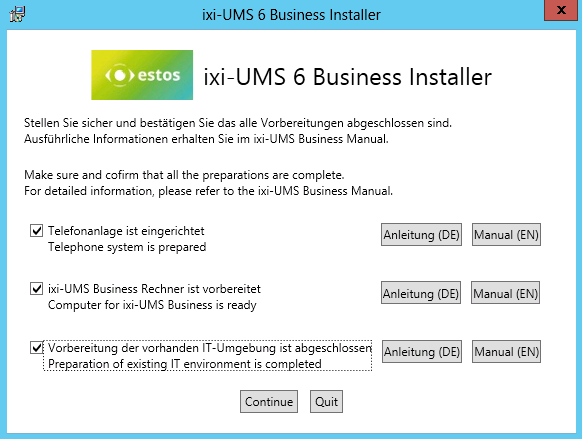 To install the components of ixi-UMS Business in another directory, click "Browse". Click "Install" to install the components. First, the Microsoft Speech is installed for the TTS functions. Confirm the license agreement and click "Install". When the installation is complete, confirm with "Finish". 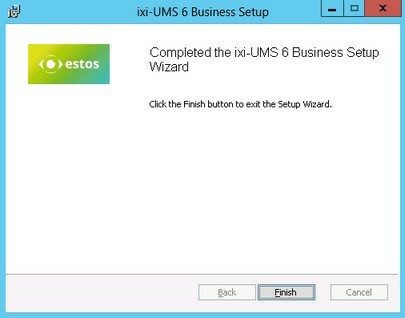 The next step is to start the ixi-UMS Business Setup. First, select the type of connection to your PBX / gateway / provider. You have installed abintec elmeg Remote-Remte-Capi. The service account is the user account with which you are logged on. This can not be changed here. 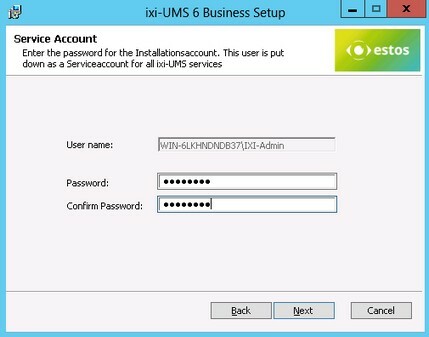 The user specified here is entered as a service account for all ixi-UMS Business services. If an Office package is used to render documents, this must be set up when the service account is changed. In the next step, all required data are copied and installed. This process can take a few minutes. 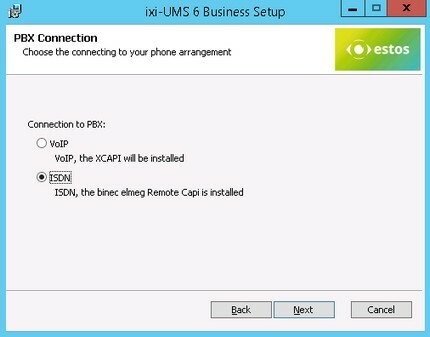 Depending on which operating system ixi-UMS Business is installed, a Windows warning message appears before the setup install the XCAPI (optional) and the ixi-UMS printer driver. Select "Install" to continue the installation. After the installation, the configuration wizard is started. 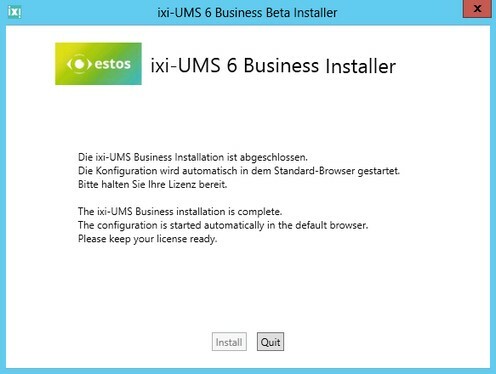 The web page for the ixi-UMS Business basic configuration is started automatically.